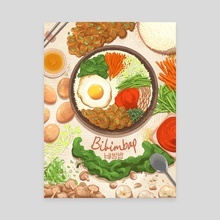 Bibimbap-a poster of the delicious Korean breakfast (or anytime) dish. 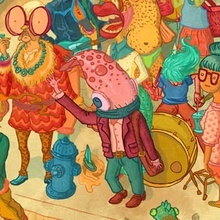 I'm an artist living in the Bay Area. 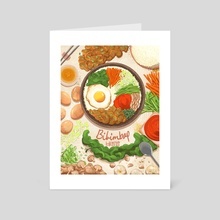 I'm a freelance illustrator who enjoys drawing and using bright colors.